Complete, portable LED wash lighting solution, with carry bag and foot switch controller! 4BAR Flex T USB is one of the most versatile and convenient pack-n-go lighting systems anywhere. The unit features unmatched flexibility with the addition of D-Fi™ USB compatibility for wireless master/slave or DMX control. You can maximize setup possibilities and configurations with 2 included L-brackets and the unit mounts to most tripods or speaker stands, without the need for additional clamps, using the pass-through hole. 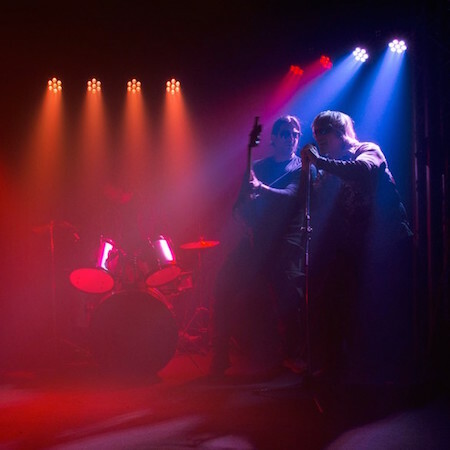 Create the ultimate light show by mounting up to 4 additional fixtures to the top of the 4BAR Flex T USB and provide electricity to the additional lights by using the built-in Edison plugs. 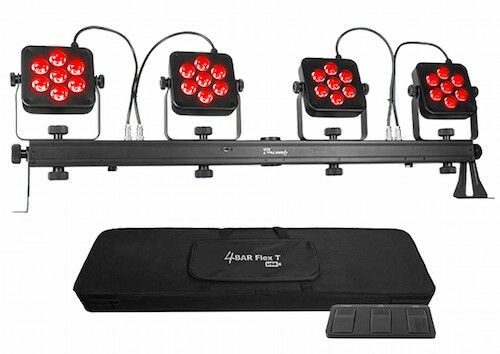 Easily set up and tear down in minutes with the included carrying bag and create large, coordinated light shows with other 4BAR fixtures in master/slave mode.